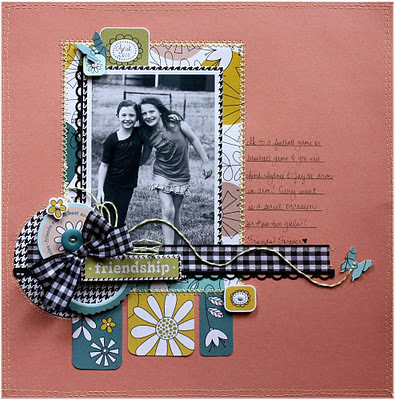 You have until February 25th to link up your finished project on the blog! 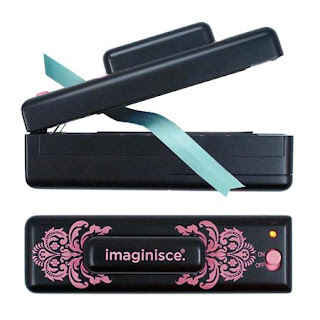 The brand-spanking-new I-Magicut Ribbon Cutter. It doesn't just cut ribbon, it seals it too....no more frayed ribbon ends...say what?!? No more bottles and bottles of No-Fray for me! "The Rule of Three's" will be available in March! The class covers The Triangle, The Grid and The Odd...now doesn't that sound intriguing? If you're a little stuck on how to better your scrapbook pages, then this series maybe just the thing to help nudge you in the right direction. I'll keep you updated here with the exact time that it will be available. I officially begin my Design Team capacity there today. 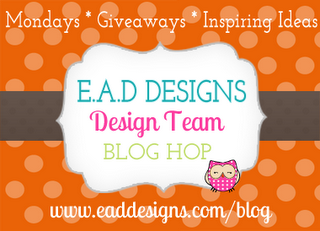 So, beginning Monday, February 6th, you will see the EAD Monday Give-A-Way Blog Hop right here at The Papered Cottage. That's right...a give-a-way every single Monday! YES! Along with weekly giveaways, you'll see 'inspiring ideas' brought to you by the Design Team through the blog hop. Trust me, you will be inspired...these gals are super talented and find so many fun and unusual ways to use EAD products. You will be in ♥....love, I tell ya! As much as I hate to...these floors won't get mopped if I keep sittin' here. Then it's onto some finishing touches on the Miss Arts' class, a birthday card and my next project for Imaginisce. Hope you have a fantastic "hump-day"
Love your take on the sketch, big fan of your work! Thanks for swinging by my blog! I was thrilled to see a fellow Paper Issues member's name. :) really love your page! The ribbon and bow details are so beautiful- great color palette as well.